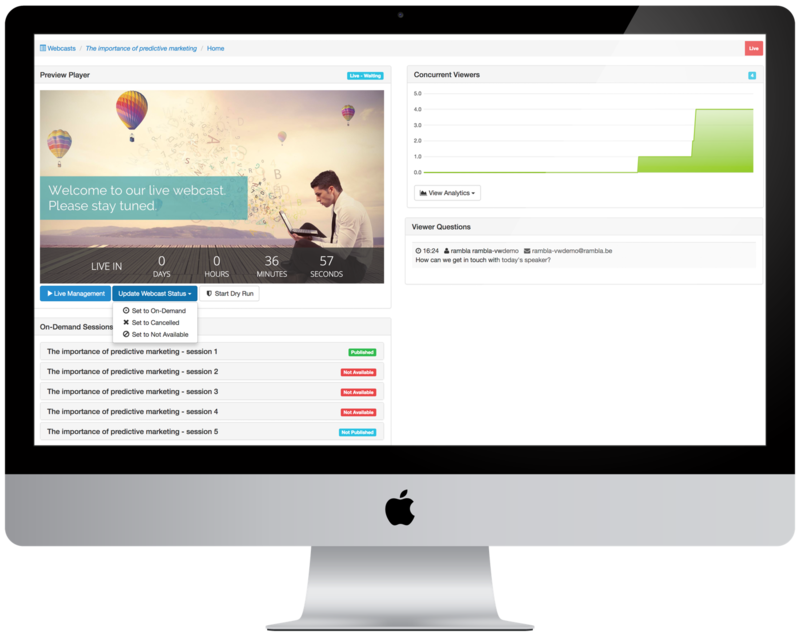 Clevercast gives companies the opportunity to produce and manage professional live and on-demand webinars without a learning curve. Clevercast Webinar is built to work on iPad, iPhone, Android and other mobile devices. Our interfaces provide an unparalleled user experience on every platform. New users can start right away, without instructions, thanks to our intuitive UI that is available in their native language. Our user interface will guide them through the process of registering, watching and participating. Both live and on-demand viewers can toggle the way video and slides are presented on any device, from side-by-side or PiP to full screen. For on-demand a slide carousel is automatically generated, making it easy to navigate to specific parts of the webinar. Clevercast Webinar lets you choose and customize the registration flow (public, marketing, manual approval, invitation-only). You can schedule reminder and follow-up emails that let you target different viewer segments with personalized calls-to-action. Landing and registration pages can be styled to reflect your brand identity. Add your logo, corporate colors and personalized messages. Tailor the system in depth to fit your precise needs, including email templates. Clevercast comes with DVR and conversion to on-demand, offering those who missed the live event an almost identical catch-up experience. Webinars can be pauzed and automatically divided into multiple sessions (per topic or speaker). Recorded webinars can be trimmed and edited. For every participant you know exactly which parts of the webinar have been watched, which fragments were re-watched. You can follow-up with an email or call-to-action based on the behaviour of the user. At Clevercast we believe in working together with our clients. We are gladly available if you need help integrating or deploying your webinar solution or even producing your webinars. Landing and registration pages can be styled to reflect your brand identity. Add your logo, corporate colors and personalized messages. Customize by adding widgets such as Q&A, Twitter timeline and handouts. You can use the WebRTC capabilities of your browser or any other broadcasting software. Or you can broadcast with dedicated hardware solutions for advanced productional requirements. Clevercast Webinars comes with a fully integrated registration module. Setting up a registration form takes less than five minutes, including a fully branded landing page for registrants. Choose between a simple one-step workflow for marketing purposes or a secure two-step workflow in which registrants require approval before getting access to the webinar. You can schedule reminder and follow-up emails that let you target different viewer segments with personalized call-to-actions in order to gather feedback, send invitations and communicate next steps. 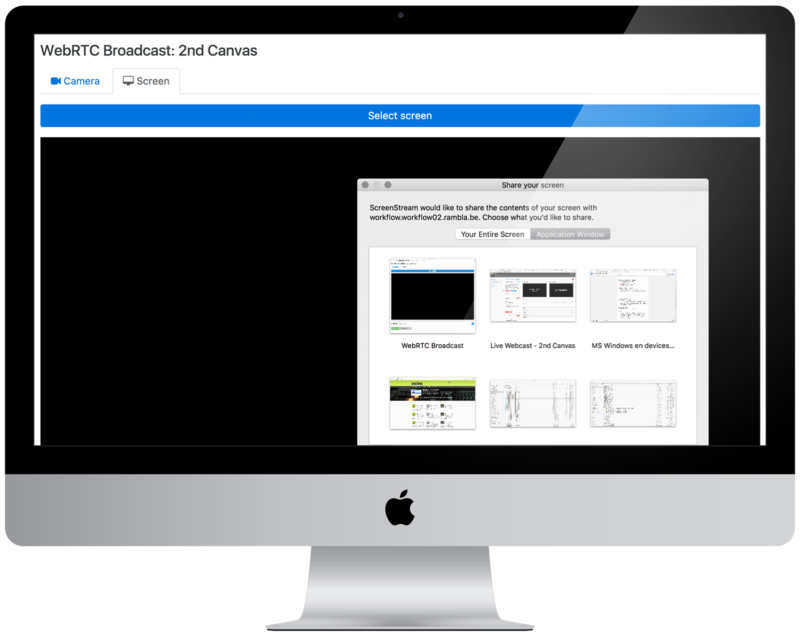 The record and replay functionality is what makes Clevercast stand out from the competition. 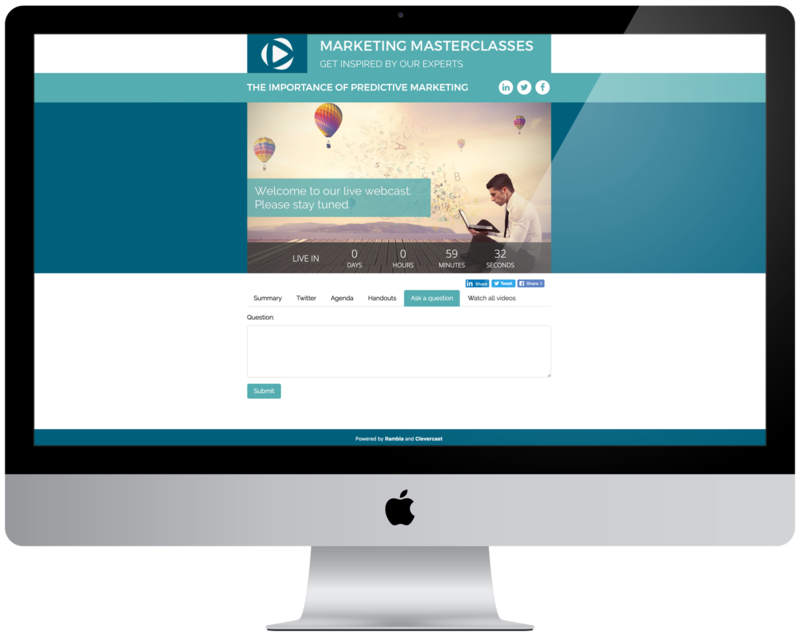 Where most webinar platforms feature very limited support for on-demand viewing, Clevercast comes with a full-fledged VOD management solution, offering those who missed the live event an almost identical catch-up experience. Features include multi-session DVR (allowing you to make separate recordings per topic or speaker) and automatic slide detection with a thumbnail carousel that allows you to navigate quickly in long video fragments. 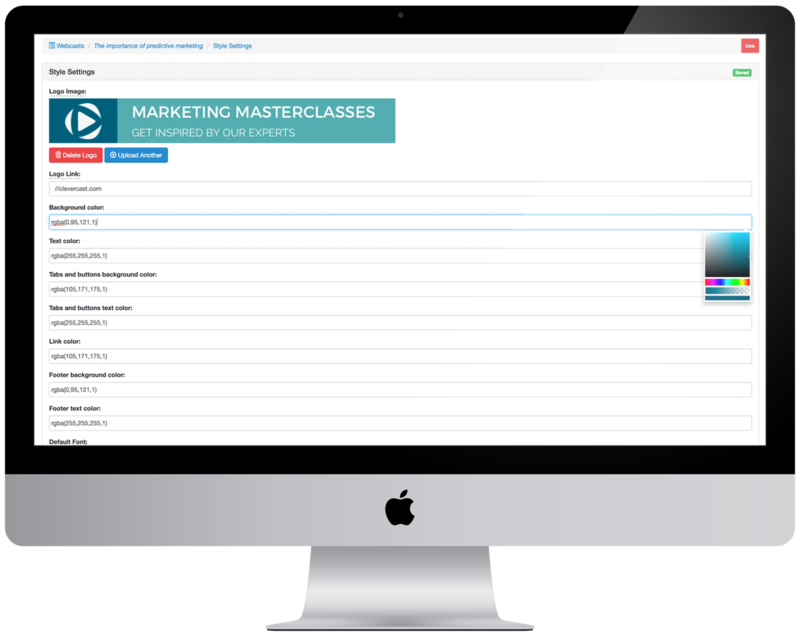 Clevercast video heatmaps are tightly integrated with the webinar registration module, resulting in extremely detailed personal user analytics. 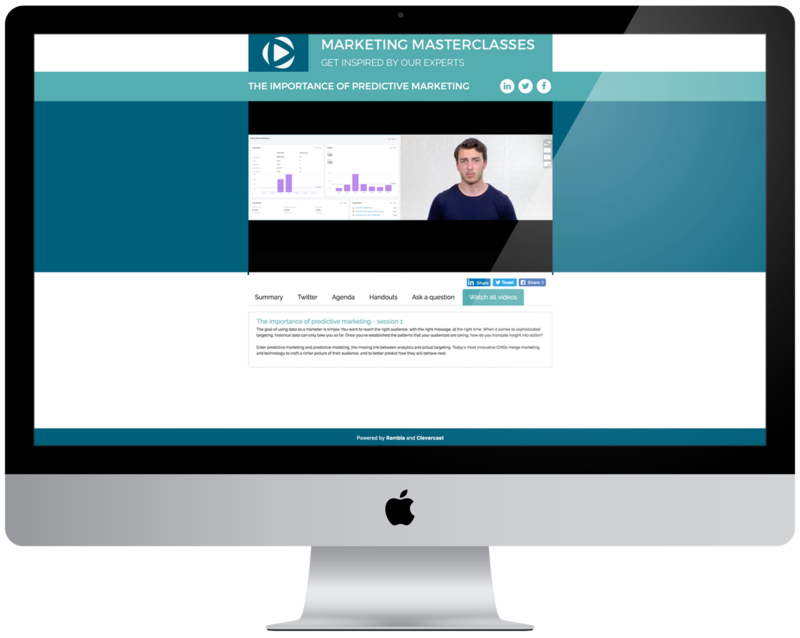 For every registered webinar visitor you know exactly which portions of the video have been watched and how many times fragments have been re-watched, down to the second. Detailed knowledge about which parts of the video are skipped or not viewed regularly, gives you the opportunity to improve future webcasts or follow up with a personalized call-to-action.